This is pretty cool. In an attempt to make even more waves in the mobile credit card processing arena, Square has teamed up with Apple to sell the Square card reader online and in Apple retail stores. Previous to this announcement, the readers were only sent via snail-mail to users who went through the Square sign up and activate process. 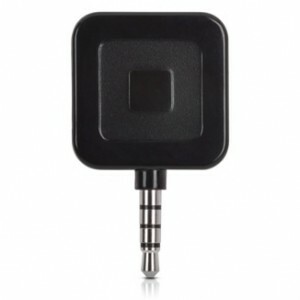 Now Square has some help from Apple to get the popular readers into small business owner’s hands. The Readers are $9.95 and are also available in black. If you’re an early adopter like me and signed up as soon as they were being offered, you only had a choice of white. For those with a little more patience, you will be rewarded with your choice of white or black. Those of us who MUST have a black reader to match our Apple gadgets (God only knows when the white iPhone 4 will officially surface), you can still buy it at full price, but Square is offering customers a $10.00 transaction credit when a new Square account is activated. That’s only fair since original customers who signed up were issued a free reader. If you’re a small business that won’t swipe enough credit cards to require a full merchant account, but want to offer your customers more ways to pay—march into your local Apple store, pick up a Square reader, sign-up, and get to swiping.